Christ Church Parish Episcopal & Historic Cemetery Saluda Middlesex County Virginia Puller Chesty An Episcopal Church serving the Lord in Deltavillle, Hartfield, Jamaica, Locust Hill, Saluda, Topping and Urbanna and Water View for 350 years. 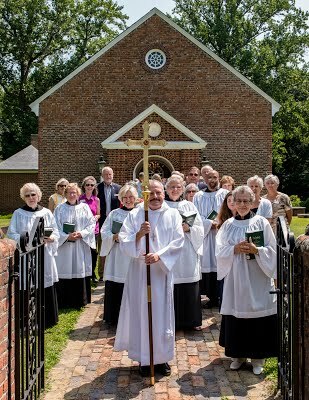 An Episcopal Church with a proud past, a joy-filled present, and an exciting future! + and the inspiration of the Holy Spirit. We are a family of faith, growing in Christ through worship, learning and service, who strive to love God and to love our neighbors as ourselves.